What’s the body’s signaling mechanism to coordinate processes that keep us healthy and prevent chronic ailments? This signaling occurs through hormones, which are chemical messengers. They are produced in various glands and are transported to all parts of the body through the blood. Hormones regulate physiology and behavior. Let us look at how a deficiency in hormones affects women’s health, and why keeping the hormones optimized should be a priority. Not fixing hormone imbalances can lead to long-term health consequences. Deficiency of the hormones estrogen and testosterone results in lack of vitality and inhibits living life to its full potential. Not only is the joy of living diminished, but also the peril of a diminished lifespan looms as the hormone deficiencies expose the patient to multiple degenerative diseases like heart disease, diabetes, osteoporosis, Alzheimer’s disease and colon cancer. If these deficiencies are allowed to remain for a prolonged duration, either due to ignorance or choice, they often lead to surgical intervention in the form of female castration by surgical removal of ovaries and uterus. Painful tumors often develop after such surgeries. Removing the ovaries, which are the primary organ of hormone production, without a post-surgical plan for hormone replacement, endangers the woman to a gradual decline of health. Birth control refers to hormonal contraceptives that cause hormonal imbalance and negatively affect the overall health of women. The delivery mechanism could be in the form of birth control pill (BCP), implant, patches, rings, or intrauterine devices (IUDs). When the natural endocrine system is rendered dysfunctional due to external intervention in the form of birth control, it throws the woman’s body out of balance and causes artificially induced stress and disease. The disruption in hormonal physiology is a result of simultaneous assault from multiple sources, including negative emotions, processed foods, and environmental toxins. Symptoms of hormone imbalance, such as cramping, spotting, irregular periods and acne, are often treated by prescribing birth control pills or contraceptive devices. These quick fixes expose the woman to serious risks to their health. Ideally, symptom suppression should be replaced by the more time-consuming approach of identifying and eliminating the underlying root-causes of hormonal imbalance. Menopause, when the woman stops having her periods, usually occurs in the early to mid-50s. However, with the unhealthy modern diet and lifestyle, hormonal imbalance and deficiency occur during pre-menopause when there are no symptoms of menopause, and during peri-menopause phases when the ovaries gradually produce less estrogen, and there are signs like hot flashes and irregular periods. The early signs of hormonal deficiency are weight gain and depression, and these are often ignored, misdiagnosed or mistreated. As a woman approaches menopause, her production of health supporting hormones, like estrogen, is lowered and she becomes vulnerable to chronic diseases such as diabetes and heart disease. Women should get comprehensive hormone panels done from an early age. Hormone therapies that use bioidentical hormones delivered topically are less risky than the treatments with synthetic hormones given orally. In summary, ensuring that hormones are balanced from a young age, greatly improves the quality of life of a woman, and prevents chronic ailments. These are compelling reasons to keep the priority straight. 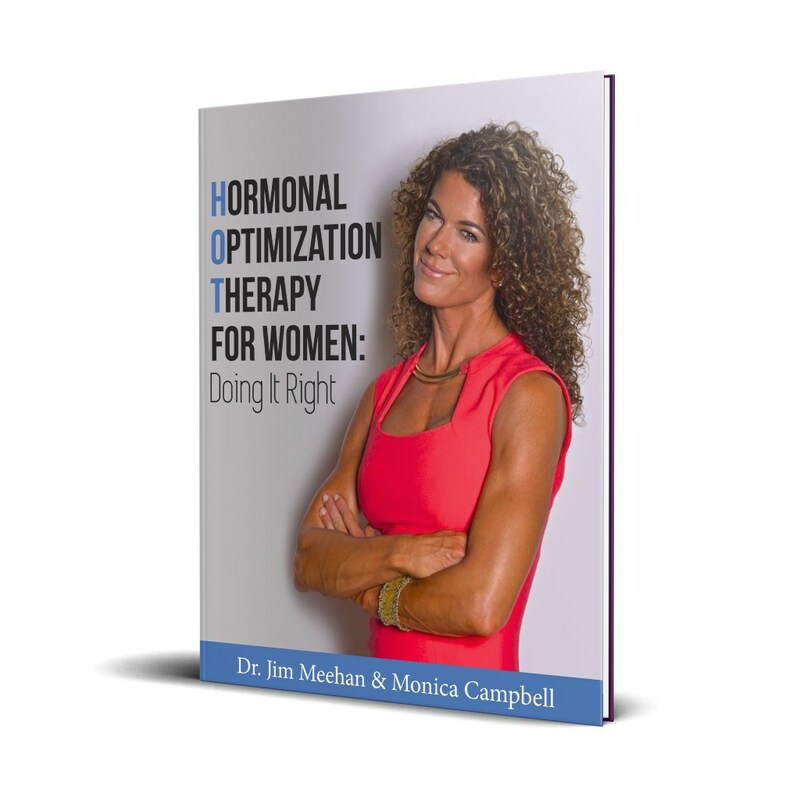 To find out much more information about Hormones and how Optimization Therapy helps Women, pick up a copy of The TOT Bible.